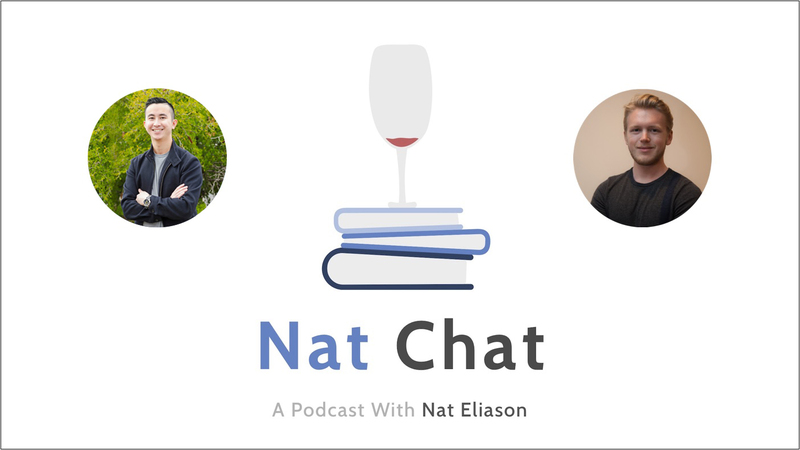 In this episode of Nat Chat, I’m joined by Vincent Nguyen. Early into his college career, he already knew that the traditional college path wasn’t for him. He started a blog on the side called Self Stairway and over the course of seven months, he began posting on publications, connecting with influencers, and eventually got the opportunity to take on an apprenticeship with the company Empire Flippers. He took the apprenticeship, dropped out of college, and moved to the Philippines. After six months of working with them, he was promoted to be their marketing director and after a while, he branched off to start his own company, Growth Ninja. He’s been doing that for over two years now and helps sites grow through Facebook advertising. Vincent’s a good example of the great opportunities that you can gain from getting an apprenticeship, as well as showing that you don’t necessarily need a degree to be successful. And much more. Please enjoy, and be sure to check out Vincent’s company Growth Ninja! If you enjoyed this episode and our discussion on entrepreneurship and bypassing college, check out my episode with Zak Slayback, where we deep dive into both of those topics and much more. If you enjoyed the discussion on apprenticeships, check out my episode with Charlie Hoehn, as well as my episode with Cory Ames. 1:30 – Introduction to Vincent, a bit on his first apprenticeship, becoming a marketing director for Empire Flippers, and then leaving to start his own company. 3:53 – Some of the internships Vincent was doing before he left for his apprenticeship at Empire Flippers. 6:20 – A bit on Vincent’s self-improvement blog Self Stairway and some of the things that he did there. 9:25 – Vincent detailing the video that he did which greatly helped him land the apprenticeship at Empire Flippers that eventually led to him starting his company Growth Ninja. 14:36 – Some more on Vincent’s apprenticeship with Empire Flippers, some info on the company being based in the Philippines, and what Empire Flippers does. 17:31 – Vincent’s transition from being an apprentice to becoming the marketing director of Empire Flippers and how he developed the skills for that role. 19:37 – Discussion on Vincent dropping out of college and some of the concern that his parents had. Also, some general discussion on the concern that most parents have with their kids going to college. 24:28 – What made Vincent not want to go to college and what peaked his interest in entrepreneurial pursuits. 26:19 – Some of the reasons that Vincent left Empire Flippers to start Growth Ninja. 28:38 – The beginning experiences that Vincent had with starting Growth Ninja. Also, what it was like for him leaving Empire Flippers to start his own company, and how he maintained a relationship with Empire Flippers afterward. 31:09 – What the business has been like for Vincent in the past two years. Also, some discussion on existential crises, finding out what you want to do in life, and some helpful perspectives on choosing something that you want to do. 34:46 – What made Vincent choose to keep his company local instead of remote. 36:05 – A bit on Vincent’s first apprentice and how he found her. 37:20 – Some really good resources for people wanting to find apprenticeship opportunities. 39:38 – Some of the books that had the largest impact on Vincent with entrepreneurial confidence. 41:40 – Some last thoughts and things that Vincent wished he had known earlier when getting started with his entrepreneurial pursuits. Some good advice for others interested in making better decisions and being more successful. 43:25 – Wrap-up, where you can learn more about Vincent, and where to find him online. Always be open to criticism and feedback. Don’t be so convinced that you’re right and don’t be so sure of yourself.